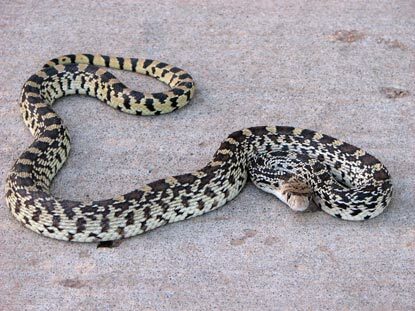 This young gopher snake (Pituophis melanoleucus) was mistaken for a rattlesnake by the resident. 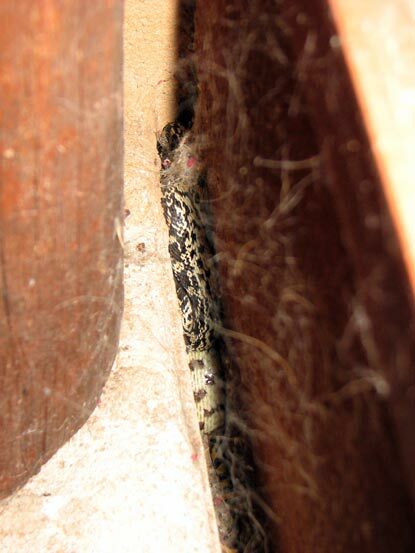 It jammed itself into this crevice after being hassled by a cat. I worked it back out and let it go in the front yard of the residence.